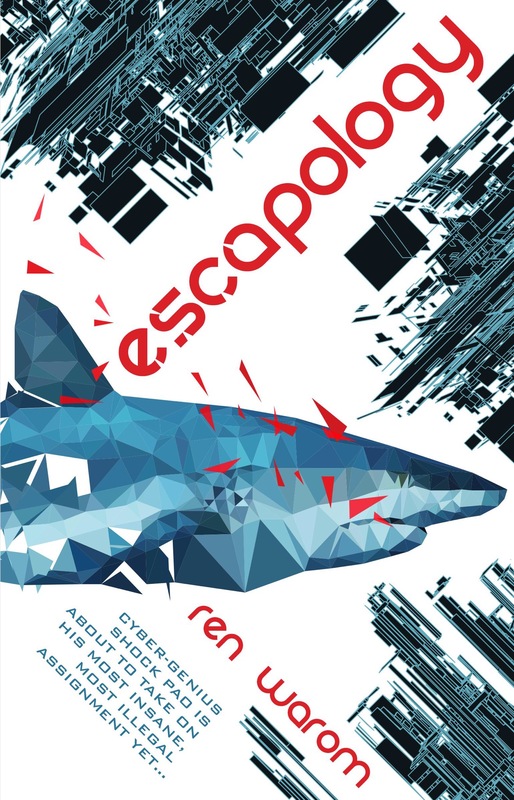 Ren Warom’s Escapology is an amazing stylistic amalgamation of cyberpunk and anime, told at breakneck speed. As debut novels go, this is a extremely polished, hugely inventive and seriously intense rollercoaster ride for the imagination. Starting off at full throttle, there’s a lot going on in Escapology including an intriguing plot, stunning worldbuilding and a cast of complex, individual characters. In a future where most of humanity resides in orbiting hubs above the Earth, where the ocean has overrun the land and where humanity coexists in real life and in the ‘slip’, a virtuality just as important as reality, the Gung is of central importance to the planet. It’s populated by a mix of shady underworld gangsters and Fails, and the rich and those termed Pass, useful members of society with a clean psychological evaluation. Escapology follows Shock, a Haunt and one of the best at hacking the Slip for information, and Amiga, a Cleaner for one of the more powerful gangsters ruling the Gung. It’s here that things intersect so brilliantly; the action is all-out anime violence, both physical and virtual whilst the worldbuilding has strong roots in the cyberpunk genre. Shock is a well considered and very complicated character whose history shapes so much of the story. Through him we get to understand what the Slip is and how it runs, what a Haunt is capable of along along with the myriad hustlers, hackers and collectives that work in the virtual ocean of information, but, most importantly, the importance of each person’s avatar. Amiga, on the other hand, offers us a different look at the underworld, the physical one where gangsters and criminals run operations without mercy. Life is cheap and the Gung is a city of mile high skyscrapers, synthetic food, and a scrabbling, desperate population. So much of Escapology is about power and control and, in the end, it boils down to Shock. The most beaten down, drug addled, cowardly victim imaginable but the toughest, hardiest and almost noble character out there; forced into a mission to break that which contains the Slip his courage and guile are impressive. Both he and Amiga are the downtrodden, each reacting differently to the adversity which respectively shaped them into introverted hacker and unstoppable killer. As their stories intertwine both must open themselves up to those things they’d turned their backs on; power and control, then, is not wielded over others but is about finding the keys to a true self. Atmospheric writing, brutal action and the stunning imaginative visualisations of a broken world all wrapped up in an innovative and intriguing future history. Escapology has so much to offer as the characters develop under the pressure of the plot. I’ve hardly scratched the surface with this review but, believe me, if you are a fan of cyberpunk or just impressive sci-fi, this is a definite winner. 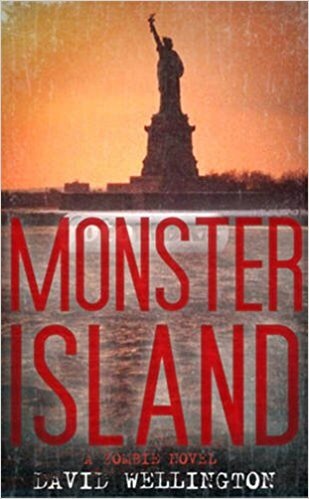 I felt the need to scratch that post-apocalypse zombie itch (again) and remembered I had Monster Island sitting on my bookshelves. Unread. Published in 2006, David Wellington was definitely one of those authors at the forefront of the zombie resurgence but I was happily surprised by what I discovered as I read this fantastic novel. Kicking off by introducing one of the main protagonists, Dekalb, a UN worker caught up by the apocalypse in East Africa, Monster Island continues to make interesting and inventive turns and twists throughout. Under the ‘protection’ of a Somali warlord, Dekalb is offered the opportunity to keep his daughter safe; all he need do is find enough HIV/AIDS medication to keep the warlord alive. Unfortunately, it’s a far from easy task and, along with a squad of teenage girl soldiers, Dekalb is soon expanding his search all the way to New York. Here, things truly turn. Dekalb meets our main antagonist Gary. A former medical student and self-made undead, Gary realised that zombification was inevitable but, if done on purpose and with some thought, might result in reanimation without total brain damage and, therefore, loss of personality. However, Gary is still a zombie and his hunger, and situation, can’t be overcome. New York is now the battleground as Dekalb and his girl warriors strive to survive and complete their mission against teeming odds. What I found interesting is that David Wellington uses the zombie genre as a fantasy setting. It allows him to introduce ideas and characters way outside of the accepted apocalypse tropes. Whilst we still have armed survivors making a stand, military assets being deployed and zombie hordes, others join the fray including a long-dead Scottish Druid with magical powers. It’s a heady mix of fantastical undead proportions and makes for a tumultuous landscape against which Dekalb tries to do the right thing whilst trying to get back to his own daughter. In the end, Monster Island retains its brutality. It is both fantasy and zombie apocalypse and though there are sparks of humour and touches of character introspection, the conclusion is quite terrible in its honesty. Like all good zombie fiction, Monster Island isn’t just about cracking skulls and drinking toilet water to stay alive; it’s about the cost of the choices made in the desperation to survive that reveals so much about humanity.